In 2010, the al Rabeeah family left their home in Iraq in hope of a safer life. They moved to Homs, in Syria – just before the Syrian civil war broke out. Abu Bakr, one of eight children, was ten years old when the violence began on the streets around him: car bombings, attacks on his mosque and school, firebombs late at night. Homes tells of the strange juxtapositions of growing up in a war zone: horrific, unimaginable events punctuated by normalcy – soccer, cousins, video games, friends. Homes is the remarkable true story of how a young boy emerged from a war zone – and found safety in Canada – with a passion for sharing his story and telling the world what is truly happening in Syria. 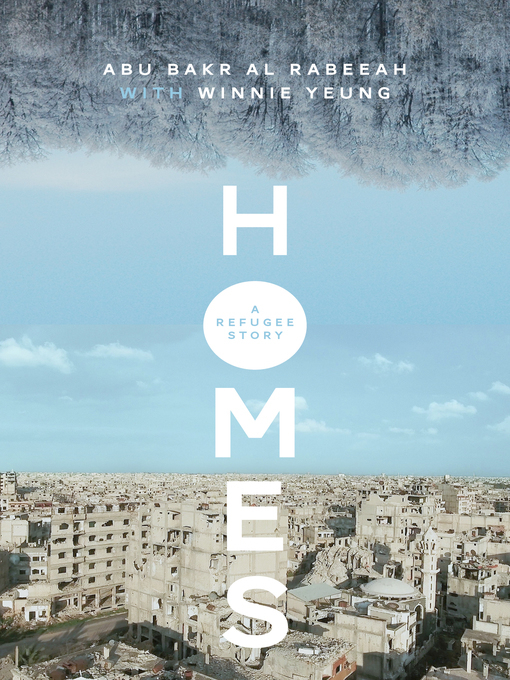 As told to her by Abu Bakr al Rabeeah, writer Winnie Yeung has crafted a heartbreaking, hopeful, and urgently necessary book that provides a window into understanding Syria.